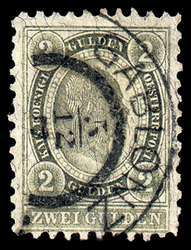 Scott #65, Perf 10x10.5, 1896 2gld gray green Emperor Franz Josef. Used VF. GABLONZ cancellation. 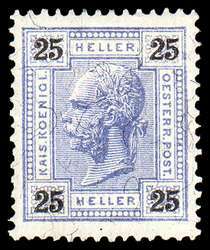 Scott #77, 1899 25h ultramarine Emperor Franz Josef. Mint VF. Fresh!